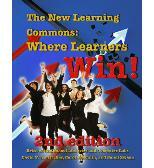 The New Learning Commons: Where Learners Win! 2nd Ed. 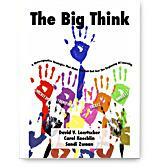 Loertscher, Koechlin, and Zwaan team up in this book to rethink everything about the function and role of school libraries and computer labs. It is often a case of 180 degree reconsideration. What does this mean? The profession has been on a command and control model: If we build it, they will come. We build a website and expect students and teachers to use it on our terms. They Google, instead. We expect teachers to appreciate the collections we build. They want classroom collections. We open our doors during the school day. Our patrons want 24/7-365 service. The book provides 18 powerful instructional designs with examples across the disciplines and grade levels that can by used by teachers, teacher librarians, and teacher technologist to maximize both content knowledge and 21st Century Skills. The typical research assignment might consist of a selection of a topic and the interception of information resulting in a product of some kind that is graded. The end. Next topic, please. Author Profile: David V. Loertscher is a professor in the School of Library and Information Science, San Jose State University. He is a past president of the American Association of School Librarians and an international consultant. As of June 1st, 2018 we will no longer offer physical copies of any books on this site. You will only be able to purchase ebooks. 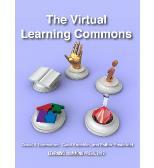 As a companion to The New School Learning Commons Where Learners Win, this book is a planning guide for administrators and those interested in establishing a Learning Commons that reinvents the role of the school library and computer labs in the school. Chock full of checklists, planning forms, an organizational suggestions, this guide is a handy tool. It begins with a brief explanation of what a Learning Commons is and its role in total school improvement and then step by step goes through the aspects of program, physical facilities, changing technologies and ends with a variety of assessment tools to guage progress. In this third publication, the editors have gathered together 25 articles they have solicited about the Learning Commons idea over the past several years and published in Teacher Librarian. Articles lay the foundation of the Common, provide real examples from teacher librarians who have established a learning commons in their school, provide a glimpse into curriculum matters related to the Commons, the technology needed to make the Commons a success, a guide for the staff and role of specialists in the Commons, and finally several articles dealing with assessing impact on teaching and learning. This trio is a valuable collection for reinventing the nature of school libraries into a 21st century model. 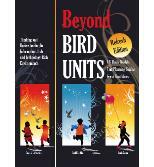 This book is a companion to and an extension of, The New Learning Commons Where Learners Win 2nd edition, published in 2011. In that volume, we presented the idea that the school library and computer lab be merged into a single entity in the school, and that this new place be reinvented from the ground up in order to become a giant collaborative. In the past year, as we have watched Learning Commons develop around North America, we have discerned the need to elaborate on the virtual part of the the Learning Commons that would replace the often bypassed school library website. 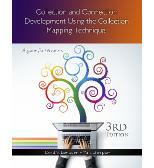 More than a decade ago, David Loertscher introduced the concept of collection mapping in two different books mostly to the audience of school librarians of the time. It received some attention at that time because it contained a simple method of dividing the collection into various segments that became a part of a visual representation of collection strengths and weaknesses. Much has happened in the last decade that has put into major question what it is libraries should own and what it should provide access to across a wide spectrum of information and for what types of devices. 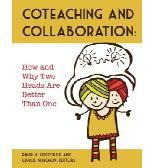 From both a theoretical and research perspective, coteaching is simply the most powerful foundational program element a teacher librarian can have to make a difference in teaching and learning. This collection of articles from Teacher Librarian bring together the power of coteaching between classroom teachers and teacher librarians. Thus, this collection can serve as a conversational piece of professional development or the basis ofof explaining and working with a school faculty on this powerful tool and strategy. In this manual designed for elementary grades K-6, we have identified 12 important characteristics of the learning commons and then under each of those characteristics, we provide a number of activities designed to be used by librarians, other specialists in the school, administrators, and teachers to are trying to implement the LC concept. We provide the activity, resources, and a wide variety of short videos that will guide thinking and planning. In this manual designed for secondary grades 7-12, we have identified 12 important characteristics of the learning commons and then under each of those characteristics, we provide a number of activities designed to be used by librarians, other specialists in the school, administrators, and teachers to are trying to implement the LC concept. We provide the activity, resources, and a wide variety of short videos that will guide thinking and planning. Teacher librarians who wish to document their contribution to teaching and learning in the school library learning commons will find a plethora of recommendations under six categories: literacies, information, inquiry, instructional design, technology, and expertise. Completely updated for 2017, McElmeel has assembled the best books, old and new, for teen reads in a wide variety of genres and interest levels. These include a list of the last several years of teen publications that have received star reviews in the reviewing media or have been tapped as award-winning books in the past year. The main list includes these recommended materials, but other sections of the book provide a guide to the best graphic novels, audio books, poetry, and picture books. Along the way McElmeel spotlights authors and provides tips for both using the books in school and public libraries.